Before Samhain - or Halloween - for the past several years I've been posting photos of London's burial grounds in a series I've called London Necropolis. A Necropolis is a city of the dead. 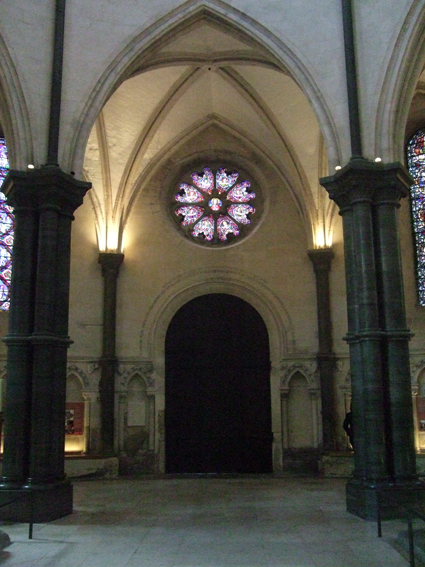 These are photos from London's Temple Church. 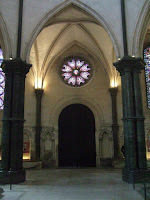 Temple Church is in the City of London, between Fleet Street and the Thames. 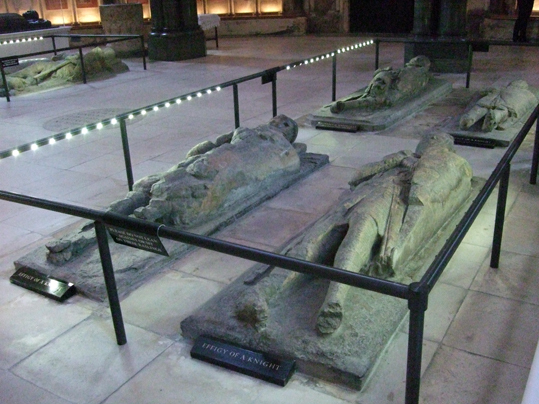 It was built by the Knights Templar in the 12th century and was used as their headquarters in England. It is a round church, modelled on the circular Church of the Holy Sepulchre in Jerusalem. There are stone effigies inside the church, which are not actually tombs even though they look like it. They represent knights ready for battle. 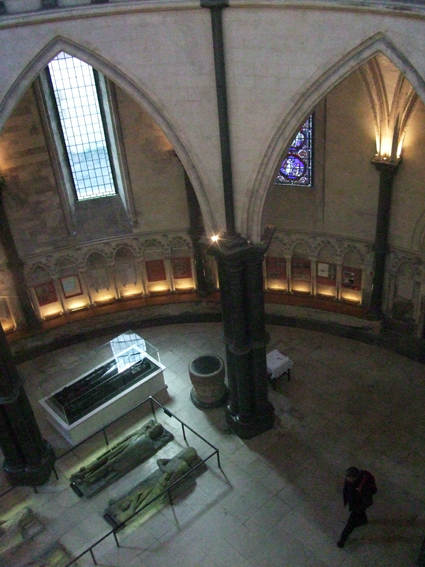 Several people have been buried in Temple Church though - so it does count as part of my London Necropolis; just not under the effigies. Those interred there include William Marshall, who is buried in the nave next to his sons. He served as a negotiator during a meeting in the Temple between King John and the barons, who demanded that the king should uphold the rights enshrined in the Coronation Charter of his predecessor and elder brother King Richard I. This led to the signing by the king of the Magna Carta in 1215. 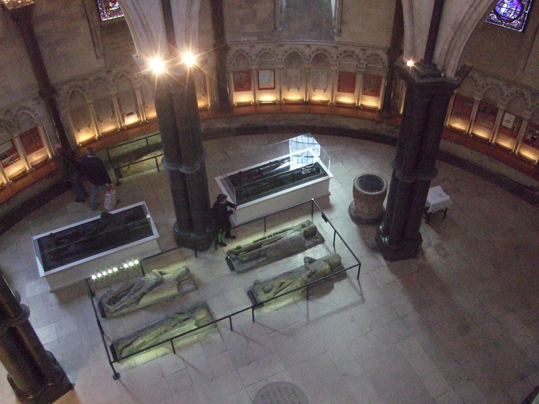 Whether you are on your own ley line walk, ghost hunt or grail quest or just enjoy wonderful old buildings, Temple Church is worth visiting - although do check in advance if it is open. The rest of the area around Temple is also great to explore as it is full of historical buildings associated with the legal profession. Just outside the church you can also see the sundial I blogged about some time ago. I got married here. It is a fascinating building. One thing you didn't mention was that the pews face each other across the main aisle rather than forward. I'm not sure why this was done. On a more worldly note, I can recommend a few good pubs in the area.